April 15 is a professional holiday of all specialists involved into radio-electronic defense of Russia. They celebrate Day of Radio-Electronic Fight Troops. This holiday was established by Presidential Decree in 2006. The selection of the date for the holiday was influenced by historic events of 1904. During the Russo-Japanese War, the Imperial Japanese armored cruisers Nisshin and Kasuga started naval attack on Port Arthur. Russian battleship Pobeda interfered telegraphy by creation of the so-called big spark in order to prevent the Japanese from contacting their other observing ships. As the Japanese later confirmed, the mission, conducted by Russians, was successful. 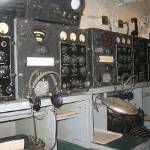 Radio-electronic warfare exists as long as radio itself. Today it plays one of the most important roles in carrying out various military operations around the world. Russian experts of radio-electronic fight troops accept heartfelt congratulations and words of gratitude for their hard, but very valuable work on this day.